A routine monthly test in December 2016 revealed that a piston in the B EDG had stopped functioning, which caused the failure. The NRC granted a 62-day Limiting Condition for Operation (LCO) extension — the longest LCO extension for the industry — to fix the issue and return the EDG to operable status. Day & Zimmermann personnel were responsible for supporting the disassembly and reassembly of the EDG engine, flushing and disposing of approximately 1,200 gallons of used oil, staging and managing a temporary laydown area, hauling equipment and materials, building work platforms, and removing and rebuilding insulation components damaged by the equipment failure. 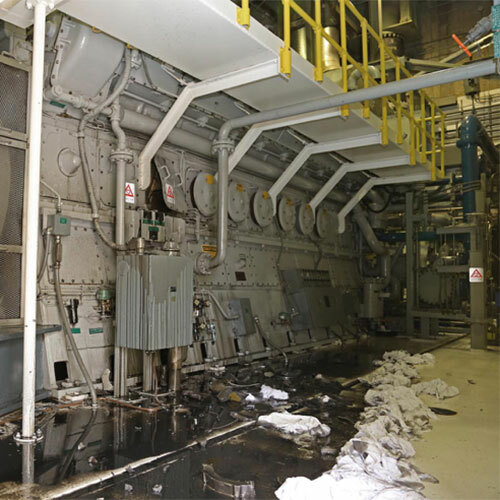 The team also conducted 24/7 fire watch and staffed a round-the-clock Outage Command Center (OCC)..
Each of the site’s three units has two EDGs, which are tested monthly and provide redundant backup power to station equipment in case the plant loses off-site power. The EDG and its subcomponents underwent a series of mechanical and electrical testing, including numerous fast-starts of the EDG and a final 24-hour endurance run before returning to service in February 2017. Before: A failed piston and cylinder caused catastrophic internal damage to an emergency diesel generator. 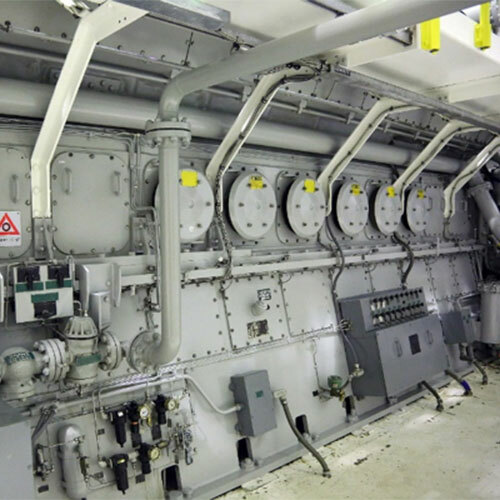 After: The emergency diesel generator was rebuilt and operational before a 62-day extended LCO. 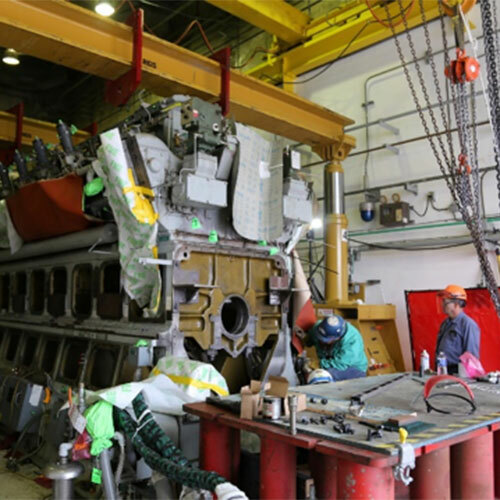 All cylinders were removed from the engine during disassembly in preparation to move the engine from its pedestal. D&Z performed rigging and support work. 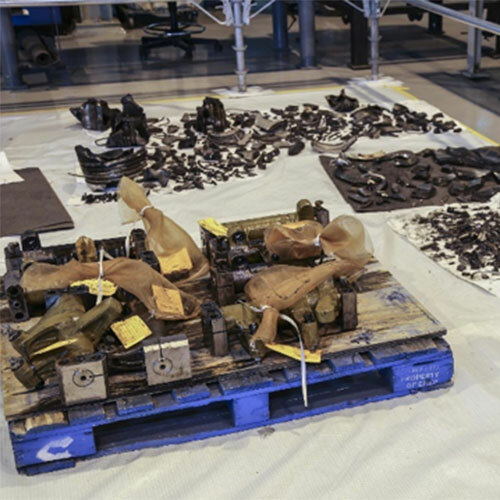 The fragments and components of the failed piston were collected and sent to a metallurgist to determine the failure mode.